The episode you have been waiting for. I sat down the third-generation Shaman of the 21st century, Shaman Durek to interview him on how we can live our most embodied lives. 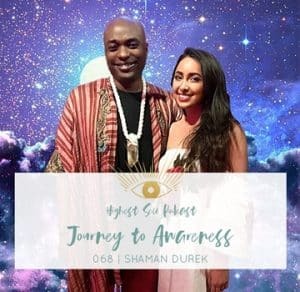 A spiritual guide and gifted healer, Shaman Durek acts as a mediator or ‘bridge’ between the spiritual and physical planes, applies ancient spiritual wisdom, coupled with decades of devoted study and practice, to help bring success, happiness and healing into people’s lives.